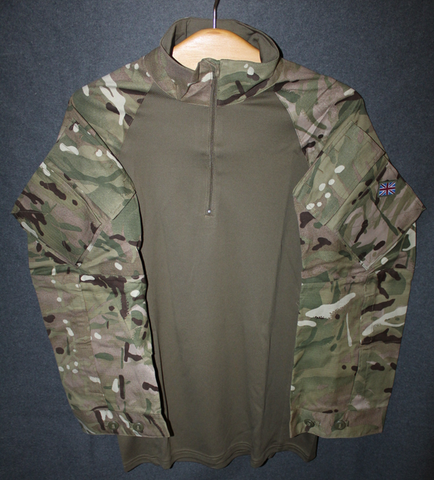 Unissued Under Body Armour Combat Shirts ( UBACS ) from PCS (Personal Clothing System) issue. The shirt is designed to worn under body armour, the chest and back sections of shirt are designed to remove moisture from skin and wicking enables rabid evaporation of the moisture. Sleeves are rigid cotton-polyester fabric, with large pockets, and velcro base for insignia. High quality shirt for sweaty work or hot conditions. Only 170/90 size is available, all are unissued, most are packed in original plastic bag. Greatcoat, Finnish Army M/65, gray.